Rocker/Camber Hybrid: Uses rocker in certain zones of the ski, typically the tip, tail, or both. 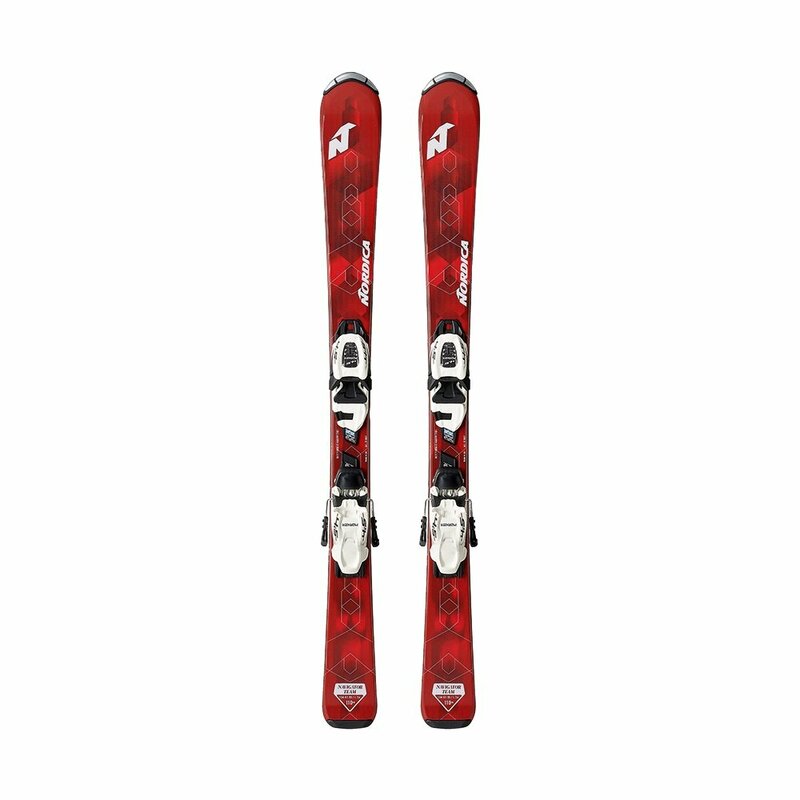 Great, versatile choice, offering good grip on hardpack, some float in soft snow, and easy turn initiation and transitions. Save yourself from the rental counter line, and save them from rental skis, with the Nordica Navigator Team Children's Ski System. It's built on an Energy Frame CA core that puts real wood stringers through the full length of the ski, meaning they can get used to the lively response while enjoying the smooth ride only wood can provide. And they'll feel in control too, thanks to the confidence-building grip provided by the traditional camber profile.